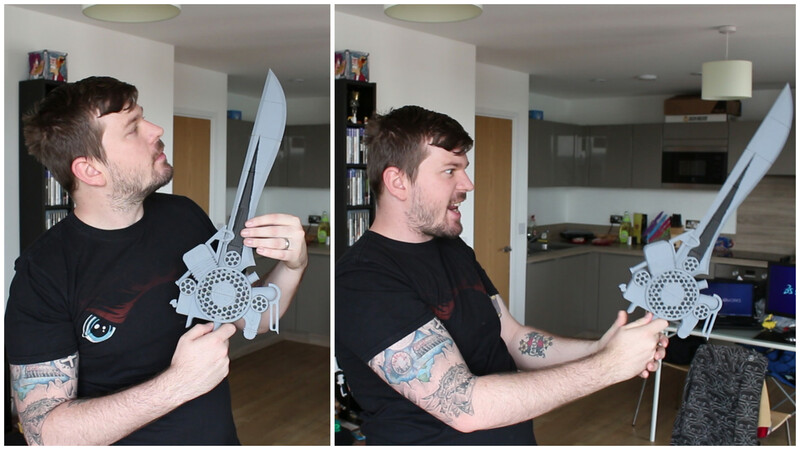 This is an awesome tutorial on how you can use SOLIDWORKS and 3D printing to create your own inspired replica Final Fantasy engine sword (Yes, it’s as cool as it sounds). 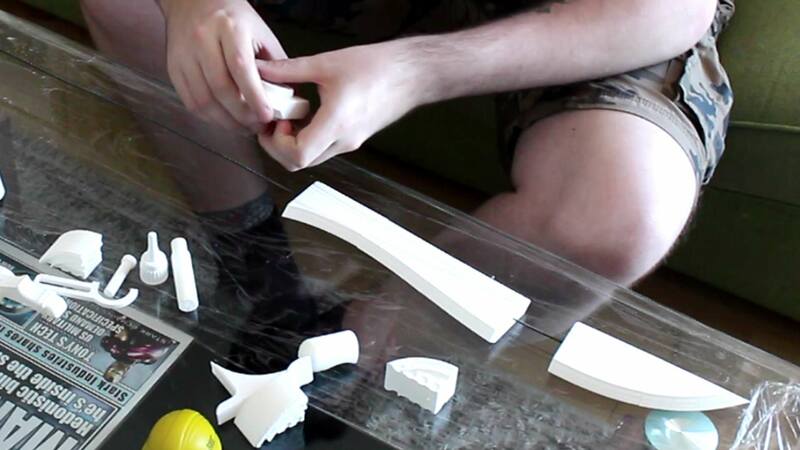 The theme for this tutorial is making a large prop which is stable and Con-safe. What is Con-safe? A Con-safe replica weapon is one which you can take into a convention and can do no harm or damage to fellow cosplayers. To build this sword we used simple SOLIDWORKS commands, nothing too fancy as this model is simple in its shape. What we did while building was keep the bodies separate, as we knew we would be separating them later and this made our overall process a bit easier. Once the sword was complete, we added some tolerances for the parts that fit into each other, and then put a hole throughout the model. This was done to allow a 5mm metal threaded rod to be fed into the body. This strengthens the model making it sturdy. We then saved them as STLs and sent them off to the printer. 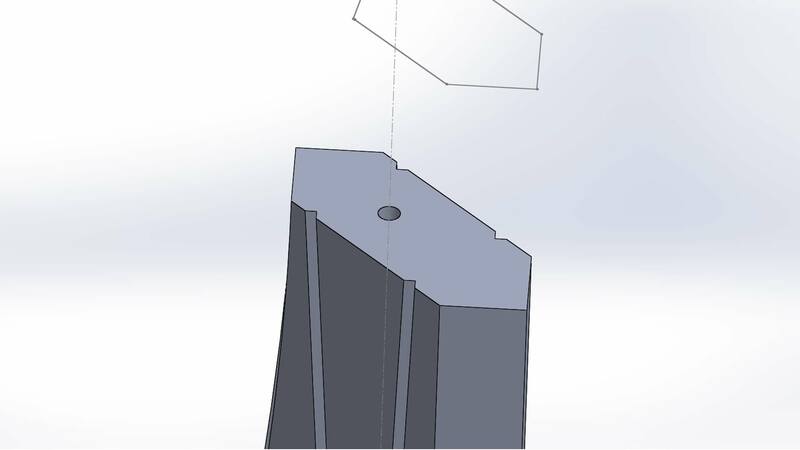 For more information on creating tolerances for 3D printed parts check out my previous tutorials. The printing went off without any huge problems! Phew! The only issue we encountered was a thing called Y axis wobble. This can happen when the y axis, that’s the axis that moves the bed back and forth, has a loose belt. This makes the bed unstable and gives off a wobble look on the model. These edges in the image should be straight. The fix for this is extremely easy and you don’t need to leave the house. 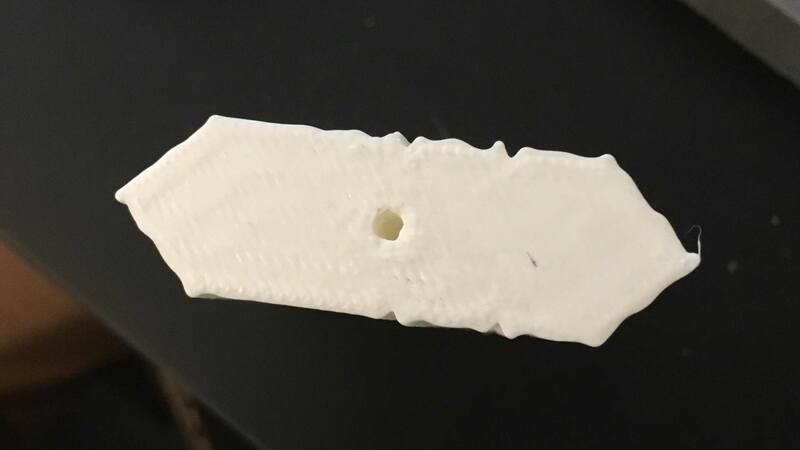 What we did is model and print a belt tensioner, now the tensioner didn’t come out great at first, but it was good enough to…wait! We’re getting ahead of ourselves here. 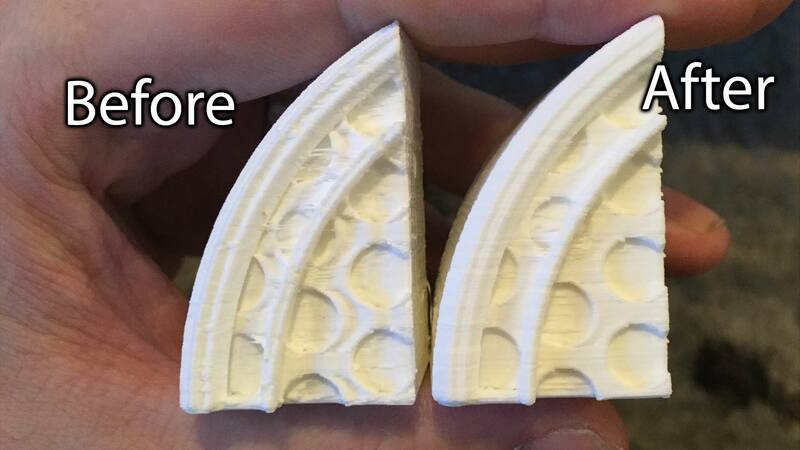 How about we leave this for a future tutorial where we will show how to use 3D printing to fix and replace things around the house?! For now, let’s just say the fix worked! Back to the model, with time against us we decided to print this at half scale but the effect of adding a rod is still the same. We just got a 2.5mm threaded rod instead if the planned 5mm rod. We used simple super glue on this model and put some glue on the rod at the same time. Threaded rod is good for this as the glue sets in between the thread and the layers creating a firm grip in the parts. For painting we started with a grey primer. We spray painted the surface as the area is too great to do it with a little paint brush. Spray paint can apply very neatly to the model making an even coat. We then masked off where we wanted to paint black. The little black dots were dabbed on with a smaller paint brush. And voila! We have an epic sword of epic epicness! This tutorial is a simple one. It used all the basic SOLIDWORKS commands and all the tricks we have shown before, just scaled up. 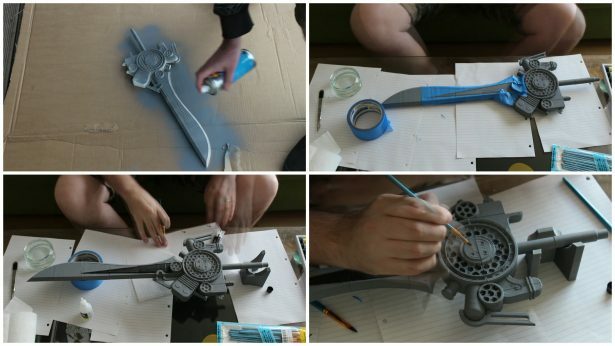 While you won’t be able to spar with this sword, you can use it to make your cosplay look awesome. Using the metal rod system, any sized replica can quickly and easily become strong and sturdy. Remember to show us your work, and we’ll see you for the next one!